From Kidrobot! "Robot Hell is real. Here's our brochure." From the underworld of a salmonella-plagued New Jersey amusement park comes the Futurama Robot Devil. 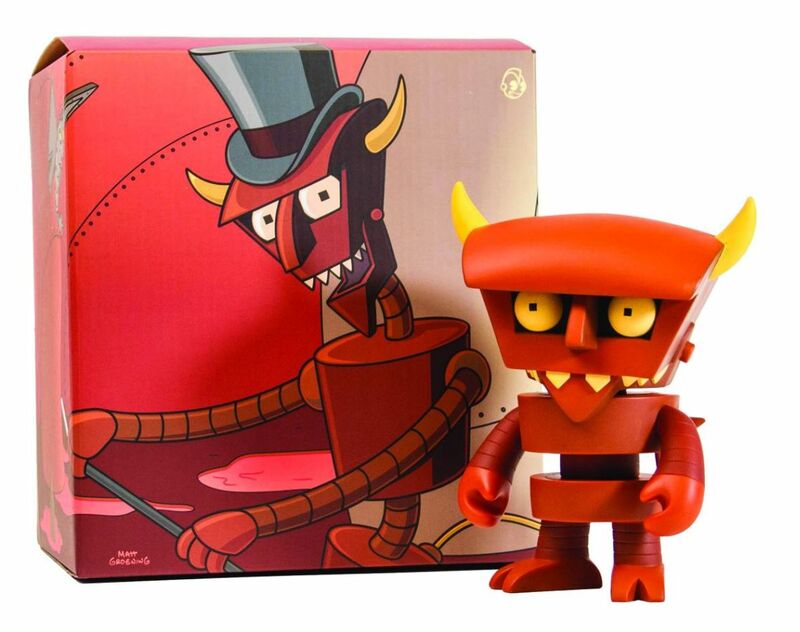 Seen through the Kidrobot looking glass, the 6" vinyl Beezlebot is a stout, smiley version of this Futurama fan fave. Accompanied by his golden violin, he rules Robot Hell.